In general, I'm not a huge fan of the idea behind them. Don't get me wrong, the products themselves are usually really cool. But the fact that they are only available from one specific store, often makes getting your hands on them tedious and overly difficult (not to mention expensive!). Usually, that's enough to make me turn the other cheek. But every now and then I come across a product that I just have to take a look at. 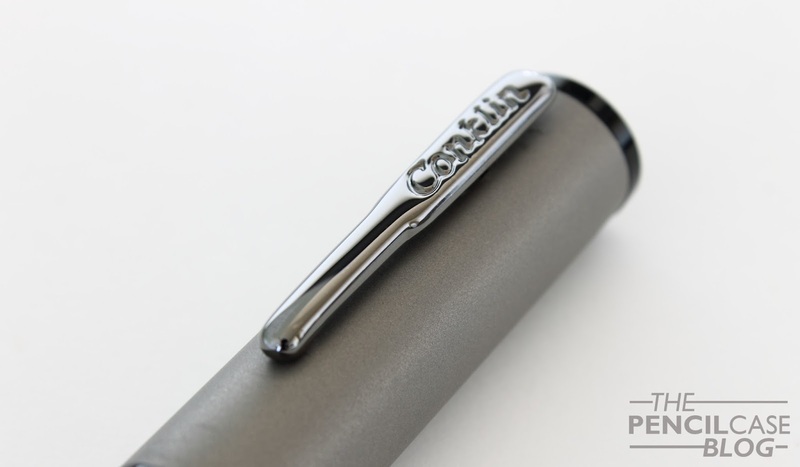 The Conklin Nighthawk is one of those products, an exclusive to US-based retailer Goulet Pens. The pretty unique symbiosis of black resin and metal parts combines into an interesting fountain pen. My thanks to Goulet Pens for sending this one over for review! 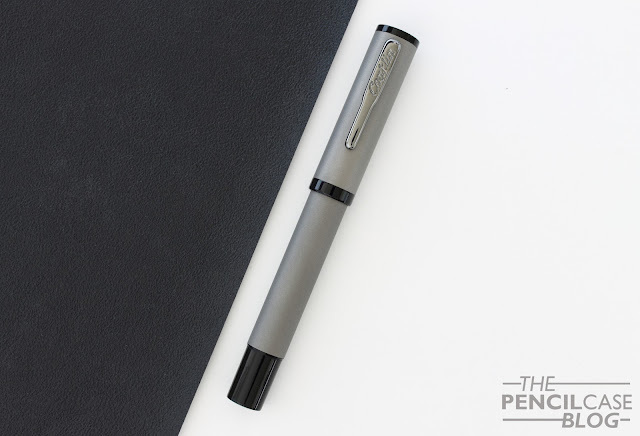 The Nighthawk is a stately flattop pen without too much aesthetic features on the outside. The shape itself screams vintage, but the materials and finish give the pen a modern appearance. Both cap and barrel have a simple, straight, untapered shape. The focus with this pen clearly lies on the metal parts on the cap and barrel. The Nighthawk can be had in three finishes: brass, copper, and titanium. This one obviously being the titanium version. The copper and brass will give a slightly more colorful appearance to the pen, and of course they will develop a unique patina over time. The titanium parts have an interesting sandblasted finish to it, which gives a nice contrast to the polished black acrylic parts. 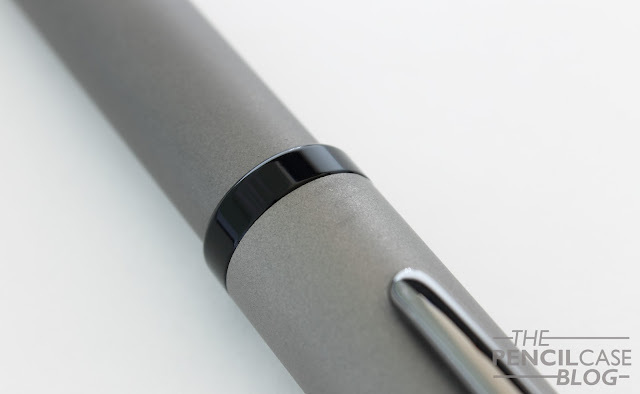 The black coated clip and nib are the finishing touches that make for a sleek, stealthy pen. While I think Conklin created a good looking writing instrument. I do think there is some room for improvement in the fit and finish department. It's decently put together, but the eye for detail is missing in some areas. The black acrylic parts aren't polished perfectly around the edges, and the titanium parts are slightly off-centre relative to the resin trims. Granted, these flaws are quite subtle, and you have to look closely to notice them. But on a 120$ pen, it could've been executed a little better. It's a beefy, rather large pen. It measures in at 13.9cm (5.5") closed and 12.7cm (5") uncapped and with a diameter of 1.6cm (0.6") around the cap and 1.1cm (0.4") at the section. I don't recommend posting as the cap makes it quite long and back-heavy, but it's possible and it does post securely. 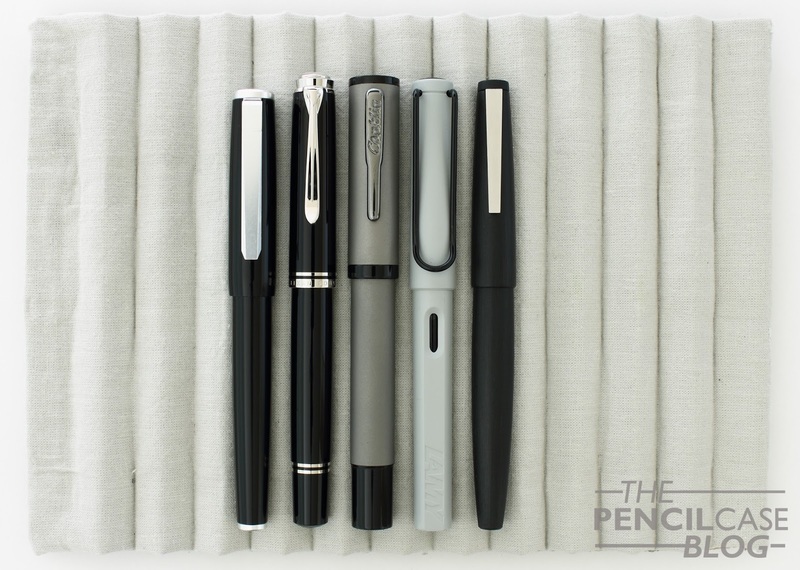 The pen -unposted- is an ideal fit for me. It's bulky and just long enough for me to comfortably use it. The section is extremely comfortable IMHO. Maybe a slightly more pronounced taper would've been ideal, but that would be me really nitpicking. Threads are smooth, shallow and hardly noticeable. There's no step, which makes it very comfy for someone like me who usually grips a little higher. The weight is just right too, at 35g total it's hefty, but not too much. The brass and copper versions come in at around 45g. Oh and the cap comes off in just half a turn. Which is very easy when you want to quickly jot something down. On the other hand, it does have a slight tendency to come loose every now and then, and it requires a firm twist to keep the cap securely in place. And then we come to the nib. Once again, I was really surprised: this is a very pleasant writer! 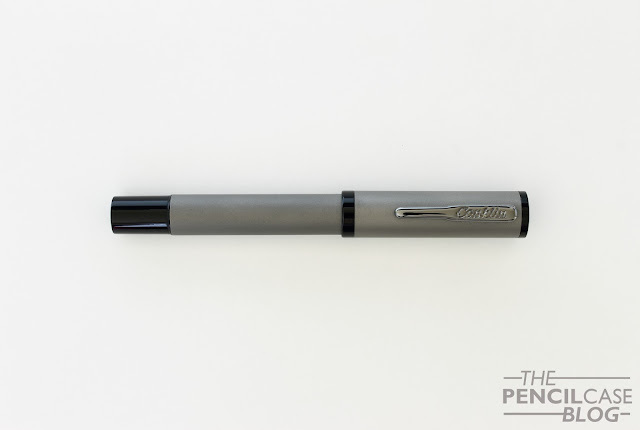 The Nighthawk, as it is a Goulet Pens exclusive, comes equipped with a GP-branded #6 JOWO nib (black coated to match the rest of the pen). Yes, this does mean the logo on the nib is different from the branding on the pen itself. Which is a bit weird, but it doesn't really distract from the excellent writing experience. I chose a fine steel nib, and while I find it behaves more like an EF (depending on what ink you use), I do think it's an excellent performer. The flow is balanced and consistent. It does occasionally hard start, but nothing a gentle shake won't fix. Apart from that, it's a reliable writer. It's smooth enough, but it still has a bit of feedback from a fine nib. Overall, I think Conklin and Goulet Pens did a solid job on their collab. The Nighthawk has a vintage-esque inspired design, combined with sleek and modern materials. And on top of that, it's also a very comfortable and smooth writer. The size, and mostly girth, definitely make this more suitable for people that want a larger pen, but it's not unweildy at al. Fit and finish could've been a little better, but overall it's a solid pen and I think it's priced fairly. 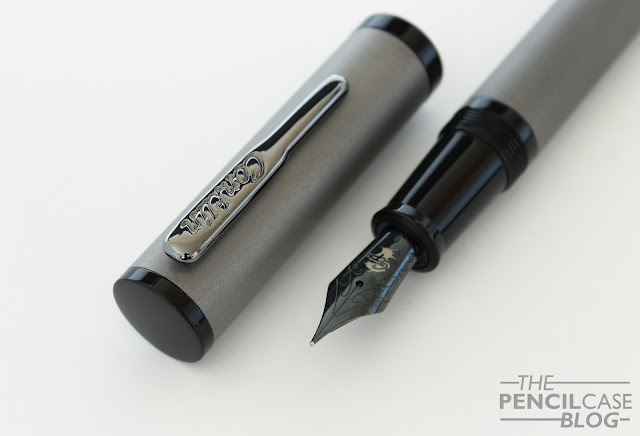 The Nighthawk fountain pens start at 100 USD for the brass version, with a 10 dollar premium for copper, and a 20 dollar premium for this titanium version. 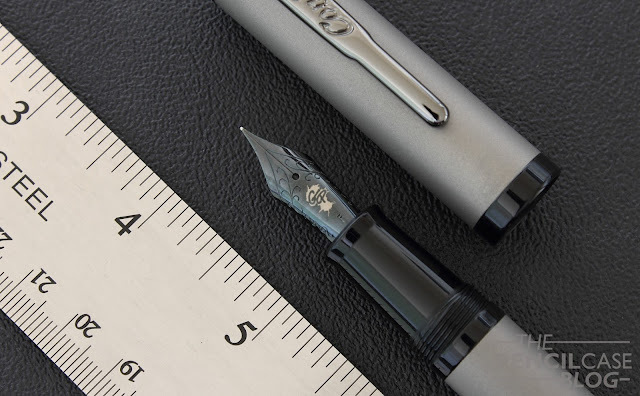 Note: Goulet Pens informed me that the Nighthawk metal pens are a numbered limited edition. Once they are gone, they are gone. 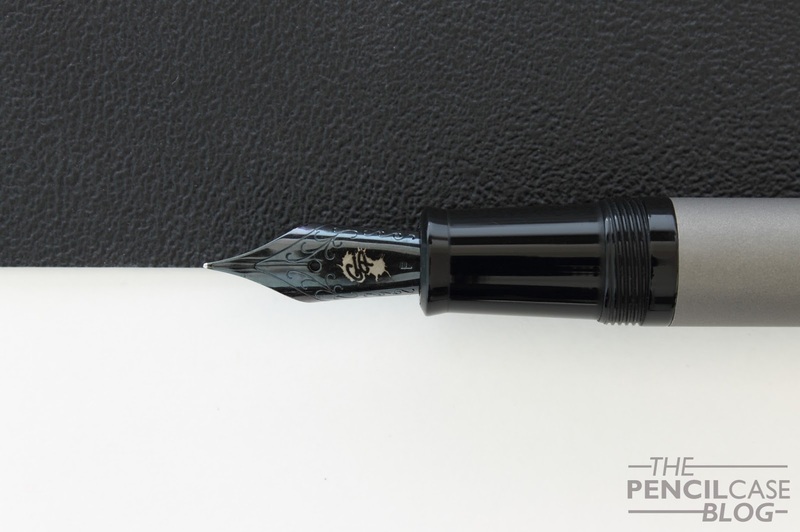 As of now, all Nighthawk metal pens can be had at a 10% closeout discount, and you get a free bottle of Monteverde ink as well! 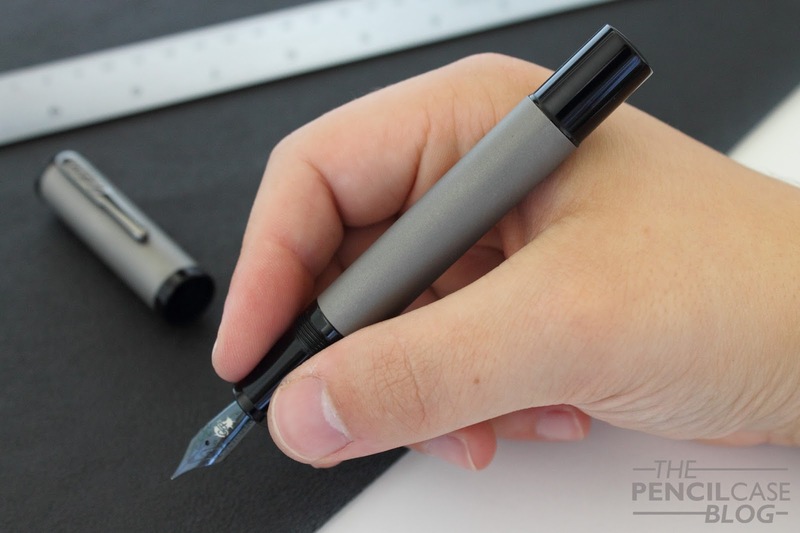 Note: This product was provided by The Goulet Pen Company, free of charge, so I could write this review. I was in no way influenced in the making of this review, the opinions shared in this review are completely my own! This post does not contain affilate links.